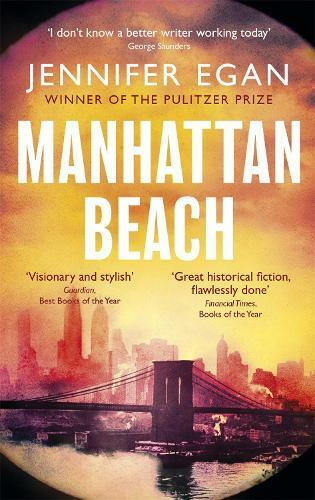 Jennifer Egan’s wonderful new novel Manhattan Beach begins in Brooklyn during the Great Depression, where smooth union bagman Eddie Kerrigan is struggling to keep his family above water. Eddie moves easily among men of power: tipping his hat at the right moment, knowing when to leave, discretely making drops that keep the wheels in motion. But Eddie is a conflicted man, and when he ducks out for a quiet smoke on the balcony, he finds his responsibilities weighing increasingly heavily atop his shoulders. To improve affairs, Eddie meets with Dexter Styles, a nightclub impresario for the mob weighed down by his own desires – for legitimacy. Eddie brings his daughter Anna, an oft-consulted good luck charm, to the meeting at Styles’ Manhattan Beach home, where the men come to an agreement that Anna understands to be portentous. Thus the narrative ignites, and by the time Anna is 19, Eddie has disappeared, World War II consumes the world, and American women are working the trades that fuel the wartime economy. Anna works at the Brooklyn Naval Yard inspecting parts, but she dreams of the chance to be a civilian diver. It is an extraordinary time, for women finding independence, for a nation stepping into the world, and for opportunity to be seized by those who understand the potential of America’s cultural ambitions. Her first novel since the sprawling, genre-defying A Visit From the Goon Squad, Manhattan Beach is an entirely different work. A straight historical novel, it resides easily within its constraints, bringing characters into focus against the physical and social realities of their lives. It is a brilliant, visceral portrayal of the time, and a haunting portrayal of the fractured nature of human consciousness. It is a book of history, of longing and striving, failure and strength, and it is an absolute triumph.